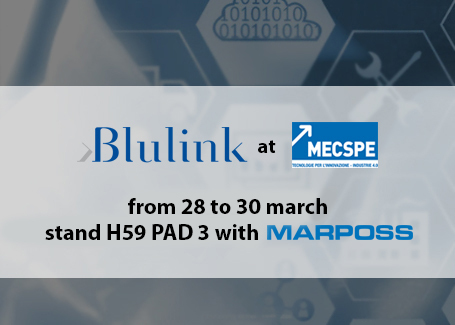 Blulink is waiting for you at MECSPE 2019 from 28 to 30 March at the Fiere di Parma with Marposs at stand H59 – PAD 3 to see together all the news of Quarta®3, the software solution for Quality and Safety Management. MECSPE presents to the visitors a complete overview of the production and industrial chain, which allows each visitor to discover all the market news thanks to 12 thematic exhibition areas and a 360 ° overview of materials, innovative products and technologies for each sector of the manufacturing industry. More than 2200 companies have already participated as exhibitors at the previous edition, including 9 guest delegations from foreign buyers.